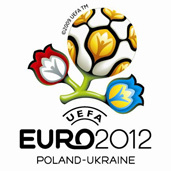 During Euro 2012 Gdańsk will have a joint group with Poznan. If the draw was held today, Spain or the Netherlands would play here. The championship involves 16 teams divided into four groups. Two “Polish” and two “Ukrainian” groups. Each group will play their matches on two stadiums. Initially, Gdańsk was to have a joint group with Warsaw. However, UEFA changed its mind. Warsaw will have a joint group with Wrocław and Gdańsk with Poznań. The teams from the “C” group will play on our stadiums. – A very good thing happened that we do not have a “Polish” group. For the city it will be much better – says Michael Brandt from the Euro 2012 Office. What does this mean? From the beginning, one thing was sure. The thing was that the Polish national team will play most of their group matches in Warsaw. Consequently, if we had a “Polish” group in Gdansk, two matches would be held between the rivals of Poles. It is difficult to speculate who would it be. You can say, who was not. Choosing qualifying groups, UEFA divides teams into four baskets. Our representation is placed together with the representation of Ukraine in the first basket.